Just imagine digging into a warm molten lava cake, with unadulterated chocolate oozing from within, flavoured with Baileys to add that alcoholic touch. This is what we call … seduction. 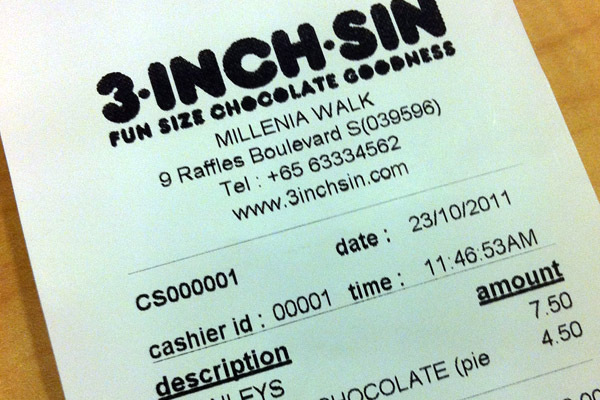 The popular 3 Inch Sin from Cluny Court, known by many foodies for serving one of the best lava cakes around, continues to tempt with a 2nd branch at Millenia Walk. They have also introduced 2 new flavours of Baileys and Cherries Jubilee, along with the other originals such as lemon, peanut butter, hazelnut and bitter orange. 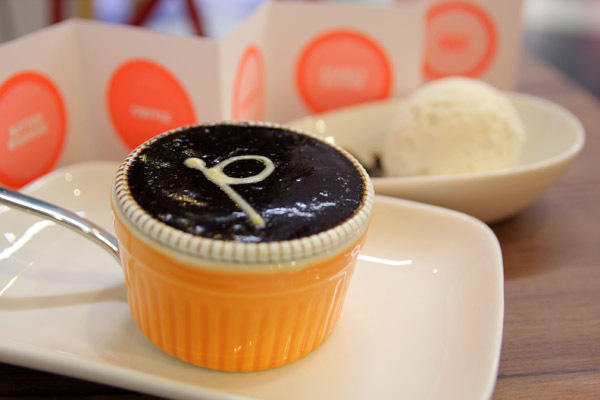 The new Baileys flavoured molten cake ($7.5) is perfect indulgence with a trace of the Irish cream liqueur goodness. 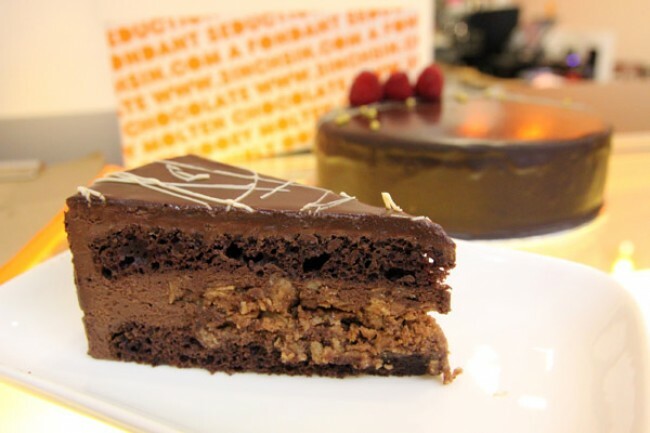 The coffee and cocoa in Baileys makes a seamless blend with the French Valrhona chocolate used, creating a taste of luxury. And did I mentioned I was the shop’s very first customer?